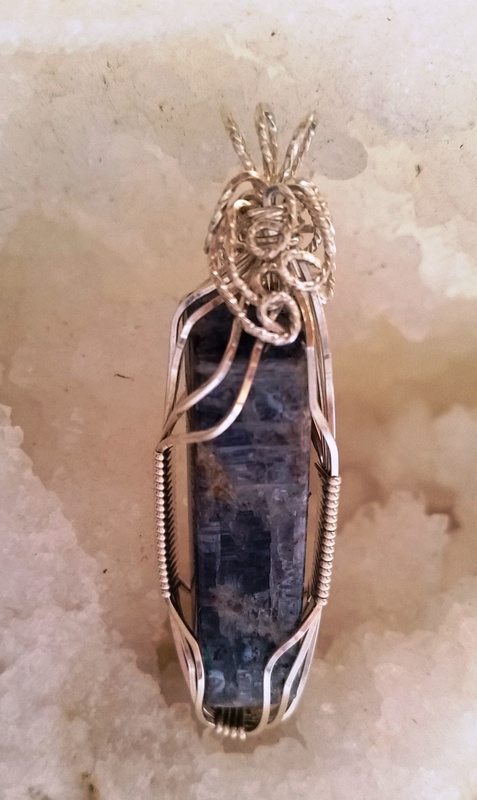 Blue Kyanite, a high-vibration crystal for aligning and clearing chakras. 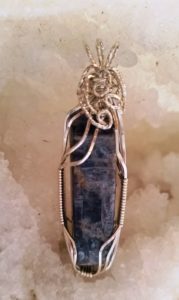 Blue Kyanite stones have a strong third-eye energy and may also help with dream recall and help by bring healing dreams. This third eye and throat chakra stone creates better communication and self expression. Its impact when communicating, assists you to speak your personal truth. This powerful piece is double-sided (so two looks in one) and set in sterling silver.